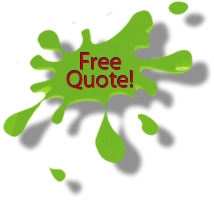 Free quotes for all London students! Affordable moves for all students. Call to day there may be a student discount available. Long and short distance student moves. We will find the best solution for you. - Are you planning to move to London to study or you are a student already looking for a storage space for the summer brake? If you decide to get a higher education you probably will have to relocate to a student campus. Very often studying is associated with a change of location because many universities have been established in specific areas. In most cases they are far away from small towns and villages and are situated on the outskirts of bigger cities or in their centres. For example there are quite a few Universities in London. On the other hand there are only a few Unis on which professors are lecturing on particular fields of science you may want to study. Sometimes there are some subjects that enjoy a high demand and there may not be any availability. In such situation students to find a free spot must travel there where they get what they want. The starting point for the student, when moving, is a real estate that will help him to find and let a house. A full removal can lead to high costs: new furniture, rent a van, etc. The right place is a student letting agency. From there, grants and loans may be obtained. You could get some money for the removal van and also if you lucky for the rent. Because the demand for the student support is high there are certain criteria and conditions must be met. The calculation includes the rent and operating costs to the living costs. The money for the relocation of a student can be granted but it is an unusual requirement and agencies decide on each case individually. Your chances increase if your parents are unemployed or have a low income. You can also contact different organisations such as Caritas, Diakonia or DRC. It is a good idea to visit each charity and agency, and talk face to face to people that may be able to help. Such meetings are worthwhile especially if the student is from a with many children family. How can you save money when moving as a student? When moving to a student flat you do not need too much furniture and household accessories. You can also find a furnished accommodation which will reduce the volume of the move. As a student you are probably good with calculating costs and you will find out very quickly that the smaller the move volume is the less the removal will cost. A furnished apartment of flat can be also rented cheap. Every student has plenty of time so you should start the planning and searching for a chap student mover in London as soon as you choose your favourite University. When comparing prices for the moving truck you should look closer to the fare combinations. There are different versions and options on the offer. You just need to ask. 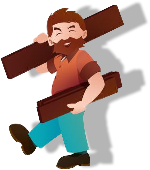 A suitable solution for a cheap student removal will be always a man and van service. Before you decide and choose the right company try to get as many quotes as possible. If you are not planning to take a huge amount of stuff, and your gear will fill just a little space on a lorry there is always a chance that you will find someone with a booked job going from the same place where you live to your new place. You will not have to pay the diesel, lorry and the driver costs on your own but share it with other people. That’s why it is important for each student to start planning and organizing the removal as soon as possible. The more notice you will give to your student mover the more flexible on price he will be. You may also want to decide to rent a small combo delivery truck and do the move by yourself. If that is the case you need to ask for a student discount. However, most of these special offers are only suitable for short distances. Assuming the students moves a long distance with no furniture, only clothing and household goods, then it makes sense to ask local freight forwarders whether they could take an additional well packed and secured cargo pallet. Many carriers do so to maximize their profits on journeys where the load space is not fully utilized. If you had no luck with finding a cheap student carrier and you did not receive any support from the government agency for a grant towards the cost of the students move, then you can take advantage of one out of many bank offers. They give low-interest loans for students. The loan can be used to finance the moving truck and the equipment for the home. Among these are low-interest development loans, which must be obtained through the bank. Very often there is plenty of funding to be found elsewhere, which would not be expected. Basic information on state benefits for students can be found on the internet. Generally, it is important to consider all possibilities in time and before the study to clarify what you can afford. Many students need to move frequently. Every summer they have a two months brake and go back home. It can be said that one a year they face the problem associated with moving. There are a couple of solutions that can save some money. One of them is temporary storage for students. It is even cheaper if a couple of friends book a storage space together. For more info on student removal and storage rates in London please contact us by email or on the phone.